There is a common misconception that on Labor Day, the cars roll westward and the villages in the Hamptons shut up shop like closing time at Disneyland. For years, a local joker even posted a huge cardboard sign visible from the westbound lane on Labor Day Monday: "Last one out of Montauk, please turn off the lights." It couldn't be further from the truth. Not only does the advent of the post-Labor Day season auger in some great events, but the weather generally remains gloriously temperate, the water at the beach is as warm as it ever gets, and the general air of frenetic merrymaking, as though time was running out, disappears. Road rage isn't a daily worry. And you stand a better chance of getting a reservation at Nick and Toni's. And there are some great events to look forward to in September. 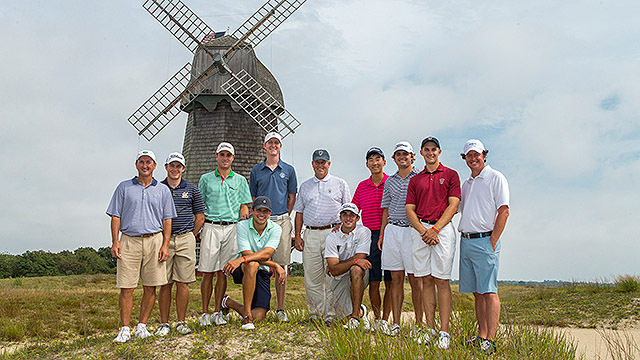 For starters, National Golf Links will host the 2013 Walker Cup Match, which will be held here in Southampton next weekend (Friday - Sunday, September 6-8, 2013). Fascinating fact: The match is named for George Herbert Walker, grandfather of former president George Herbert Walker Bush (and thereby great-grandfather to former president George W. Bush), who was president of the United States Golf Association in 1920 when the contest began. The National is a gorgeous golf course located just northwest of Southampton Village and overlooking the Peconic Bay. 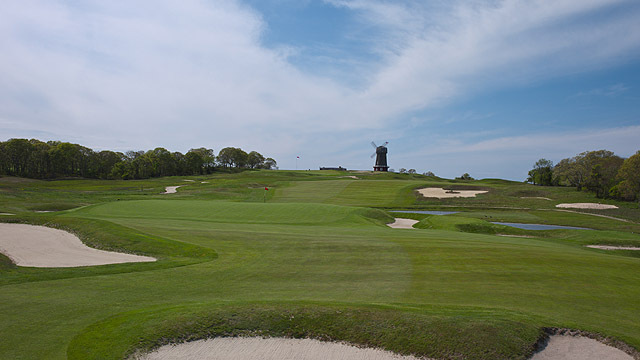 Its landmark windmill is iconic of the Hamptons, and simply walking the course is a lovely day's excursion. It's particularly appropriate that the Walker Cup will be played here, as the course -- built in 1908 under the direction of founder Charles B. Macdonald -- was designed to incorporate playing challenges similar to those found in the better links courses in the British Isles such as St. Andrews, Prestwick, and Sandwich. Tickets for the Walker Cup are available for the whole three-day event, single days, or just the practice round on Friday by clicking here.